The default implementation will copy Wt::ItemDataRole::Edit data to Wt::ItemDataRole::Display. You may want to specialize the model to provide a more specialized editing behaviour. 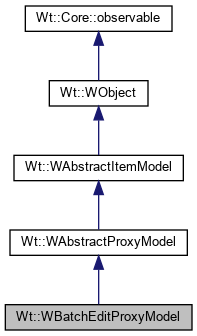 When role is Wt::ItemDataRole::StyleClass, the style class is appended to any style already returned by the source model or set by setNewRowData(). By default, flags() will return ItemFlag::Selectable.